Eurovudas Keys Log Cabin: The Eurovudas Keys Log Cabin offers a spacious 5.8 x 5.8m footprint (6 x 6m overall size) with 44mm interlocking wall logs. With 19mm tongue and groove roof boards, the cabin can be given additional protection to ensure a weatherproof roof by adding shed felt roofing material and bitumen shingles, available in either green or black colour. The sturdy wall logs are double interlocking tongue and groove boards, which helps prevent against water ingress and draughts. The windows and the glass in the door are all double glazed, with a double rubber gasket for added protection. The number of windows ensures plenty of natural light and easy control over ventilation in the summer months. 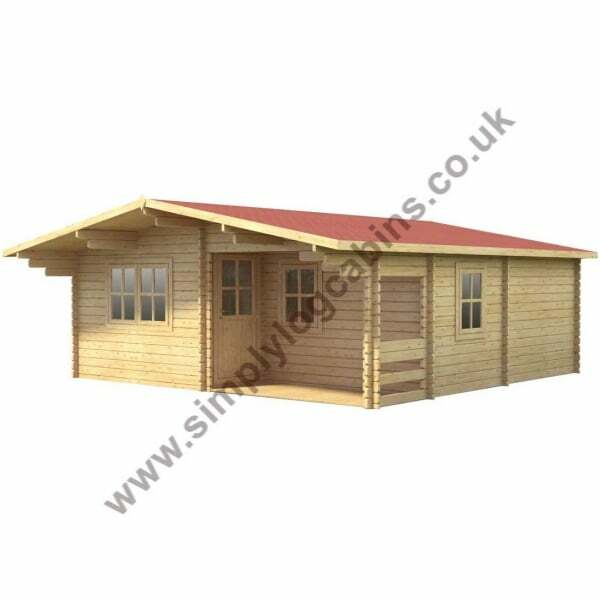 A well made and high quality log cabin, the spacious Keys cabin offers plenty of functionality along with great value.